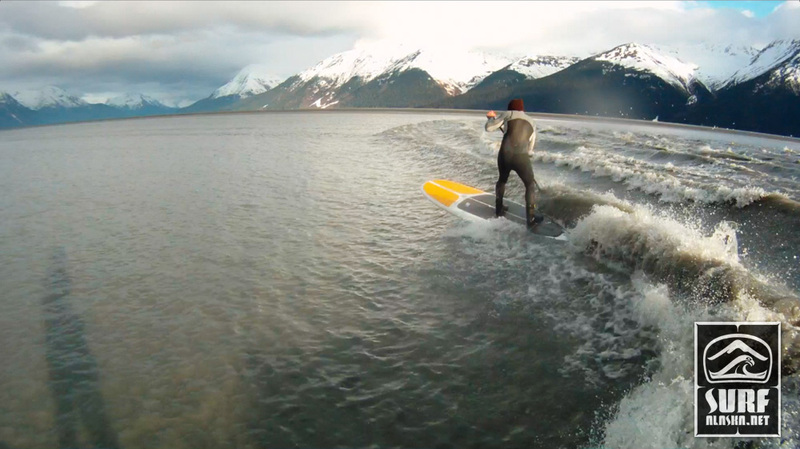 As promised in a recent post, below is a video from our SUP session on the May 21st Turnagain Arm boretide. You can read about the session in this post – Turnagain Arm Boretide – reaping rewards. Pretty flat here in Kachemak Bay this time of year. Really flat in fact. Take this morning for example – you could see the reflection of the mountains in the water it was so calm. Nice little sunrise session on the Homer Spit this morning. Not too much to get excited about, but some fun rides on the stand up paddleboards. I had the GoPro camera with me out there to catch the insane action. The Kenai River in Southcentral Alaska is famous for fishing. Thousands and thousands of people visit its turquoise waters to fish for record setting king salmon, monstrous rainbow trout and countless sockeye salmon. Judging by the strange looks we received, stand up paddling hasn’t really caught on here yet. 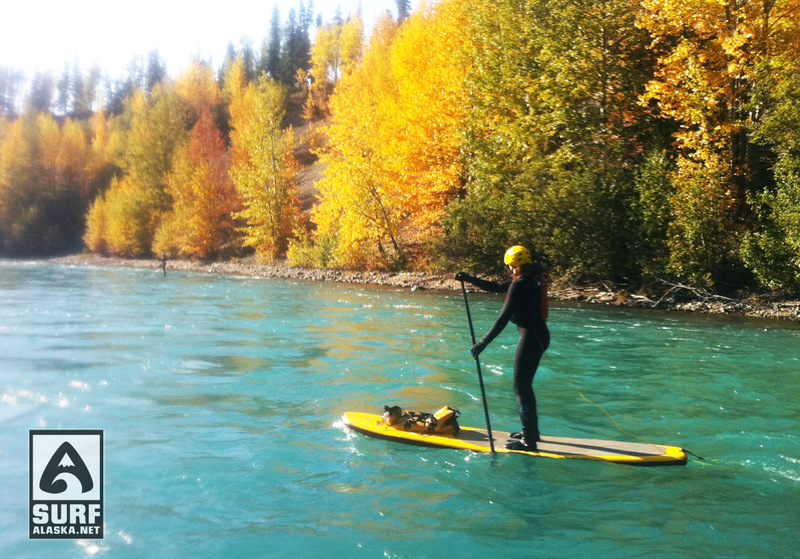 Fall is a particularly gorgeous time of year on the upper Kenai where the birch and cottonwood forests are glowing golden in contrast to the turquoise water. I guess it’s not a once in a life time opportunity . . . Though it feels that way. If you’ve been following along here you know that we have been taking the m/v Milo out from Homer to discover new breaks on the outer coast of the Kenai Peninsula. We just returned from our fourth trip out there yesterday. This morning I put together a few clips I shot using the GoPro video camera mounted on my SUP paddle. This footage is from our third adventure out to the Gulf and our second time riding this slab wave we’ve named Pop Ups. A flat spell at your home break can quickly lead a surfer to reminiscing of rides had in bygone times. How about that time we had it pretty good last fall? You know, the sessions with 5 mile rides. The one where you could catch the wave right after breakfast and ride it till lunch. Foot cramps from doing so many turns on the standup board. . . . That was pretty sweet. 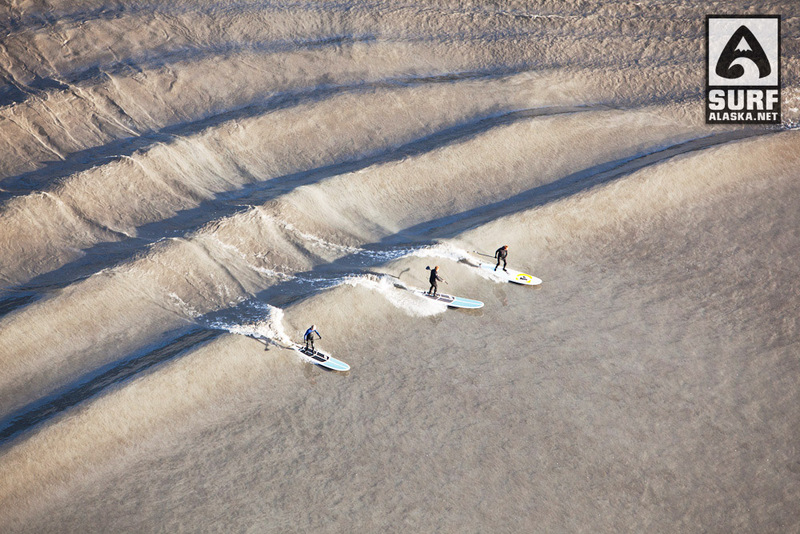 Stand up paddle surfing the Turnagain Arm bore tide in Alaska. Still trying to catch up here in the offices of Surf Alaska after a week of bore tide fever. 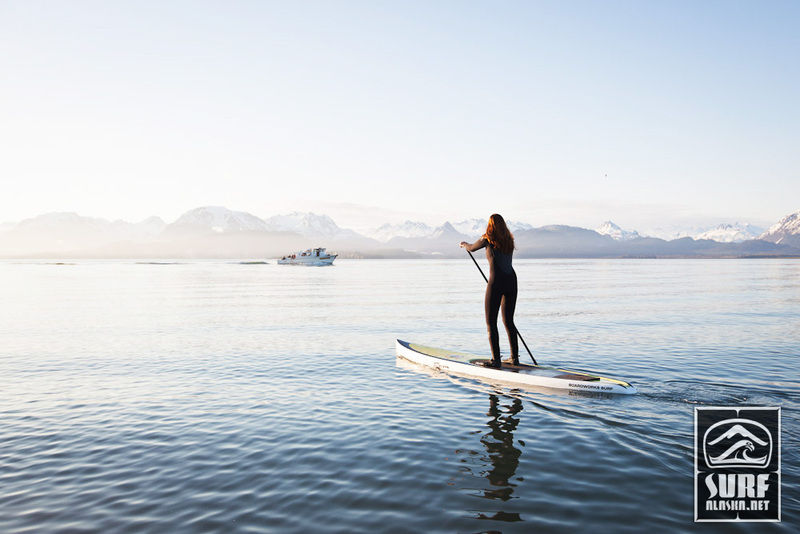 Not trying too hard though . . We are heading to the Kenai River this weekend with inflatable stand up paddleboards for an attempt at paddling / floating the entire length of the river. Should be gorgeous with the fall colors and the turquoise waters.